AV Events is very happy to bring our corporate professionalism to the private market. 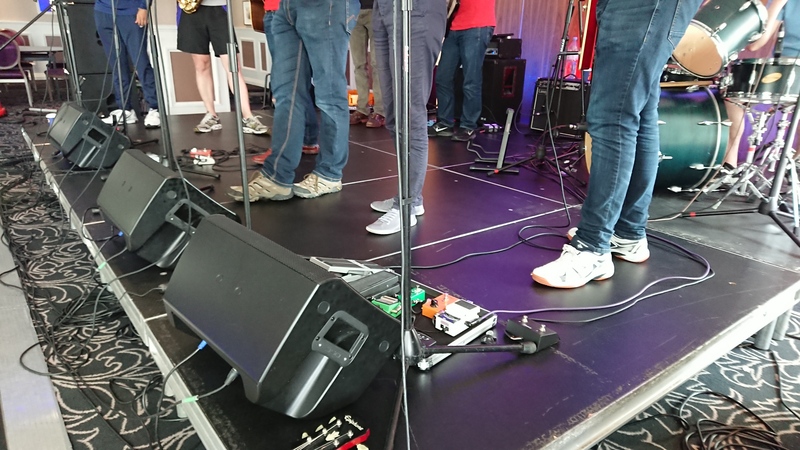 From a projector screen for a best man's speech, a battery powered PA for a marquee, lighting the outside of a hotel, to live bands and more, we're able to take the worry of 'the technical side' out of your hands. For a day out at Wokefield Park, we were happy to provide staging, a full PA, band monitors and room lighting to add something extra to a special day. 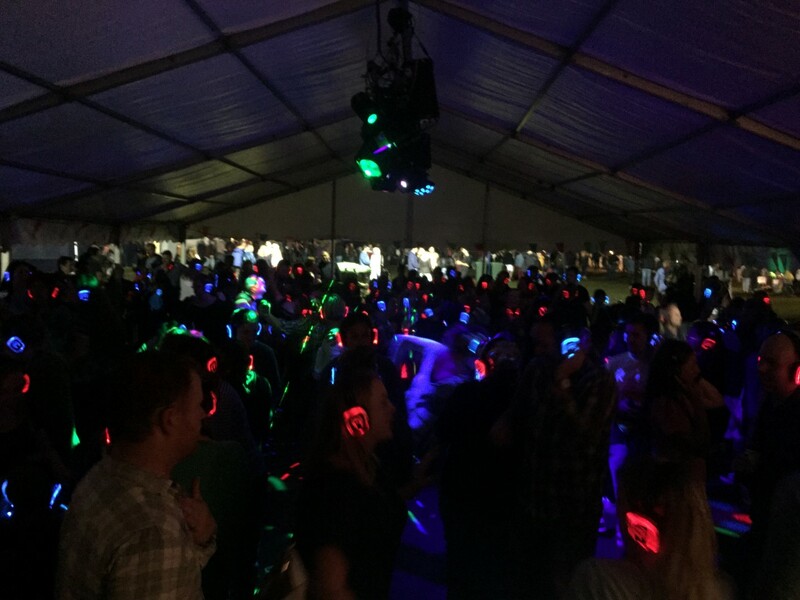 In support of a local radio station and folk festival, we were happy to provide 200 silent disco headphones, lighting, custom wristbands and onsite staff. Our silent disco headphones are three channel, allowing different music playlists (or DJs) to be listened to based on individual preference. The headsets light up Red Green or Blue to show which channel is being listened to.